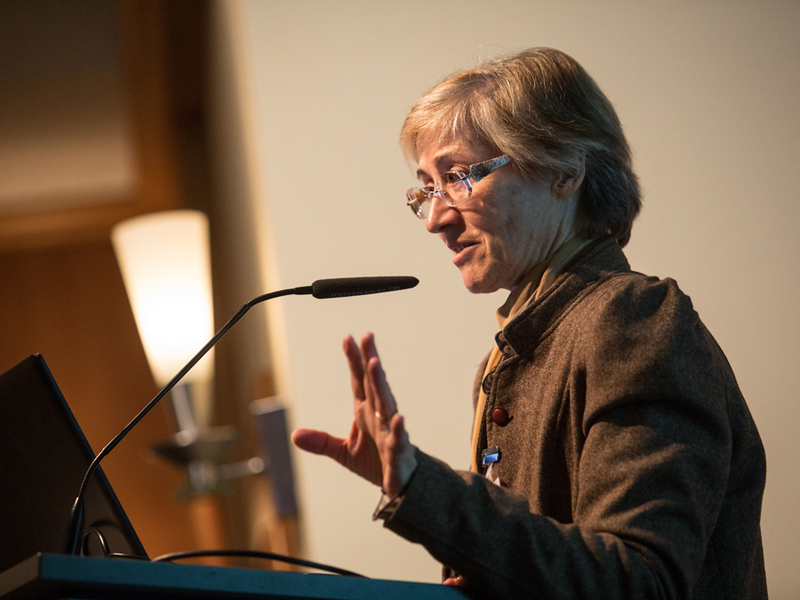 Dr Rita Lawlor (University of Verona) described the collection of biological samples, particularly for oncology, as “critical tools for research.” Increasingly, information yielded from genetic analyses is reported back to biobanks, adding value for future scientific studies. 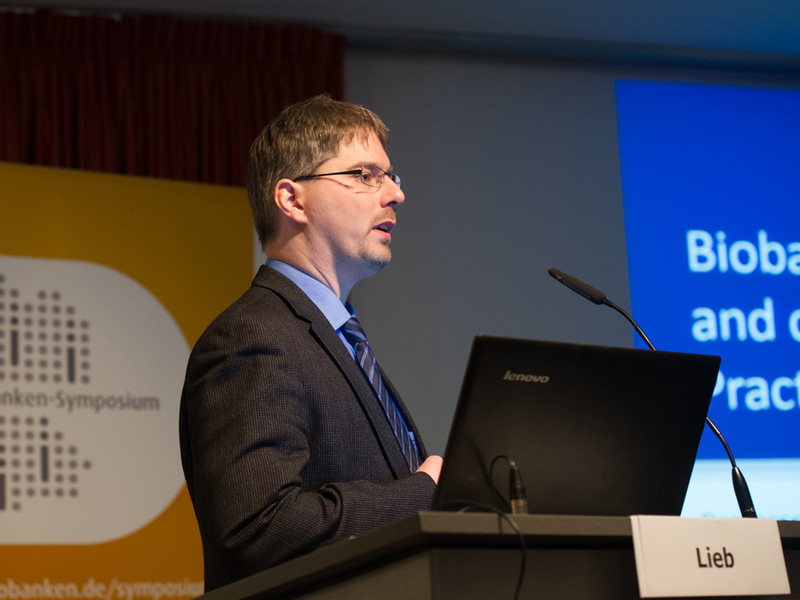 The National Biobank Symposium was established in 2012 by the German Biobank Registry, which is operated by TMF. 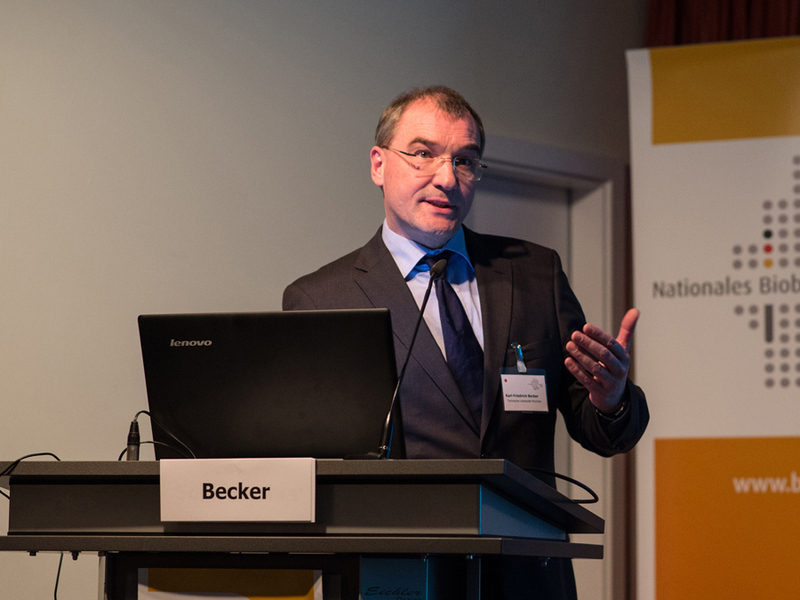 Today, the event is jointly hosted with the German Biobank Node (GBN). 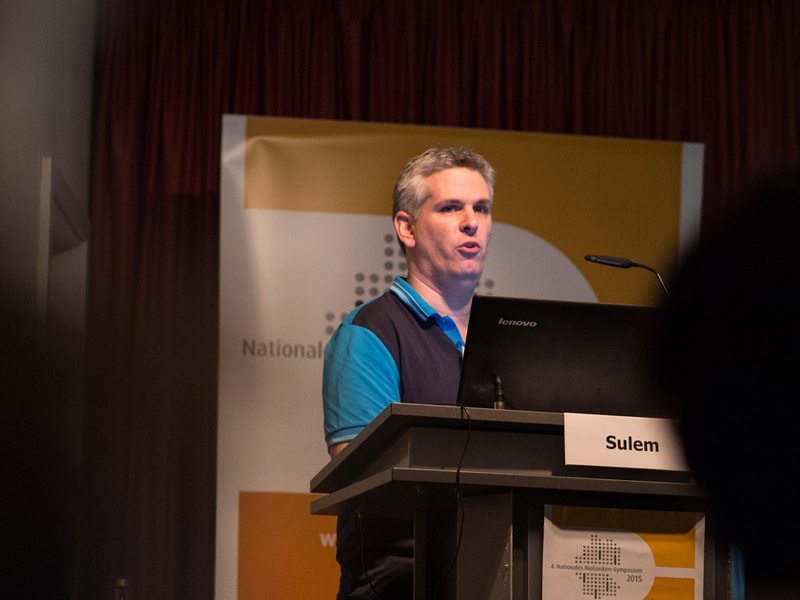 “Every population has its own rare genetic variants,” explained Patrick Sulem from deCODE genetics. 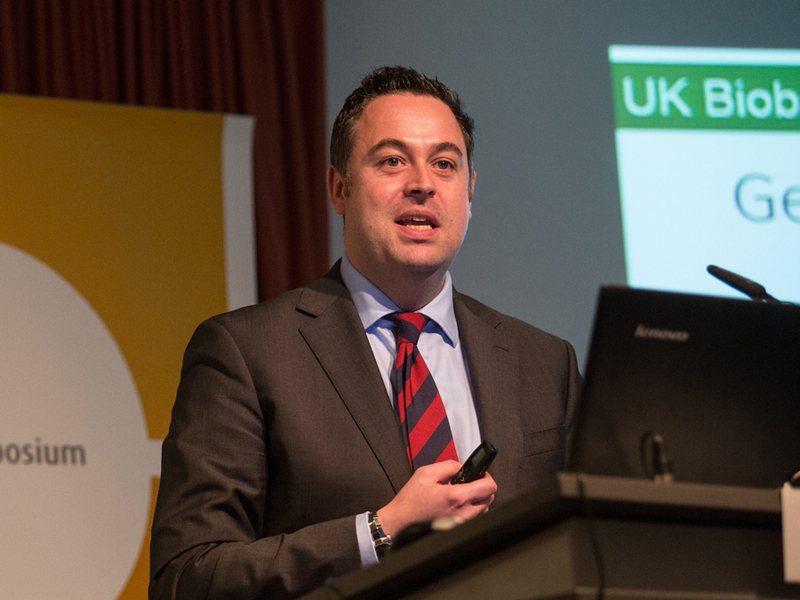 The Icelandic enterprise has played a central role in spearheading biobanking. It has genotyped a large portion of the island nation’s population over the last 20 years, with the goal of analysing DNA to identify risk factors for common diseases. In 2013, TMF’s biobanking working group paid a visit to deCODE genetics’s biobank. L.t.r. : Professor Michael Krawczak, Professsor Manfred Dietel, Dr Rita Lawlor and Patrick Sulem. 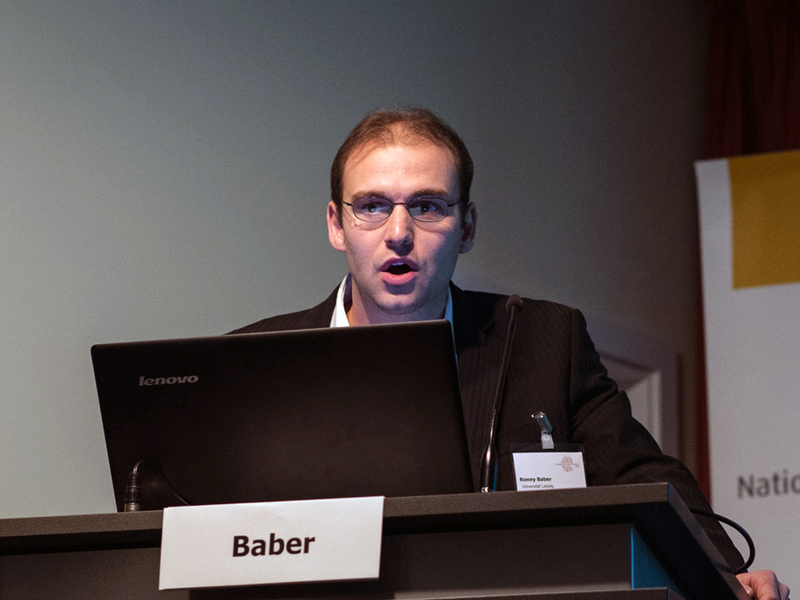 The overarching theme of this year’s Symposium was “Biobank Networks as Pacemakers in Medical Research”. The PopGen 2.0 Network (P2N) project is an example of one such network tied to a university. 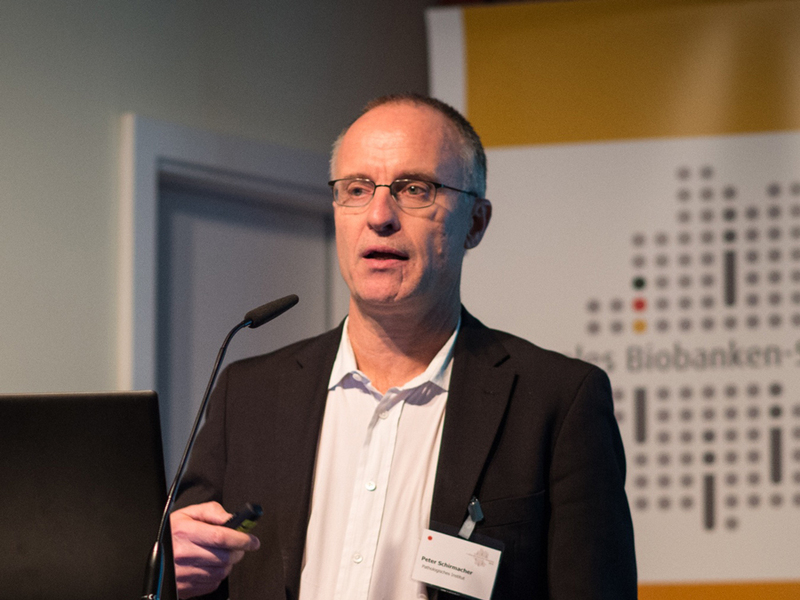 As Professor Wolfgang Lieb (University Medical Centre, Schleswig-Holstein, Kiel Campus) stated, biobanking is integrated into the hospital’s overall research strategy. Similarly, the Leipzig Research Centre for Civilisation Diseases (LIFE) is a biobank-based scientific network linked to Leipzig University; it connects researchers studying widespread lifestyle diseases (also known as diseases of civilisation) in residents of Leipzig, Germany. The goal behind LIFE is to gain insights into the effects and interaction of genetics, metabolism, environmental conditions and individual lifestyles. 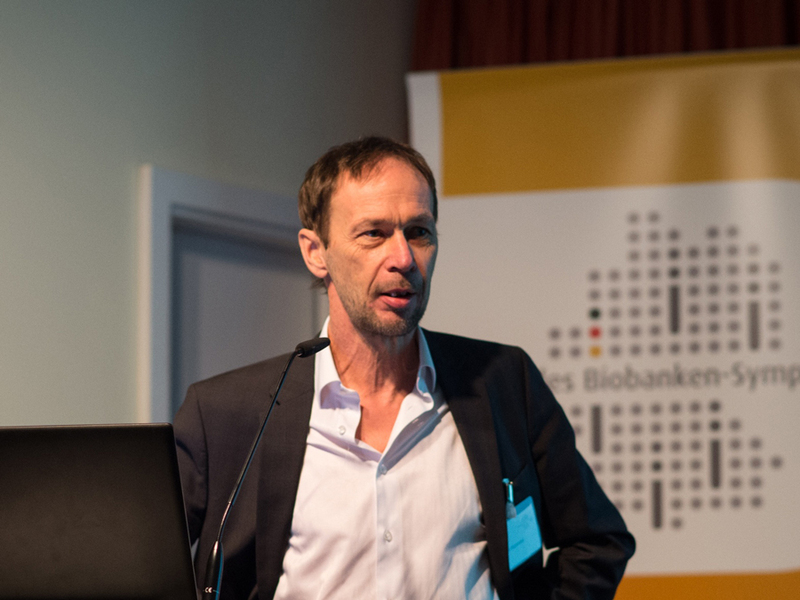 As Dr Ronny Baber (Leipzig University) explained, the project is currently undergoing a shift from epidemiological- to phenotype-based biobanking. Biobanks are increasingly interconnected. 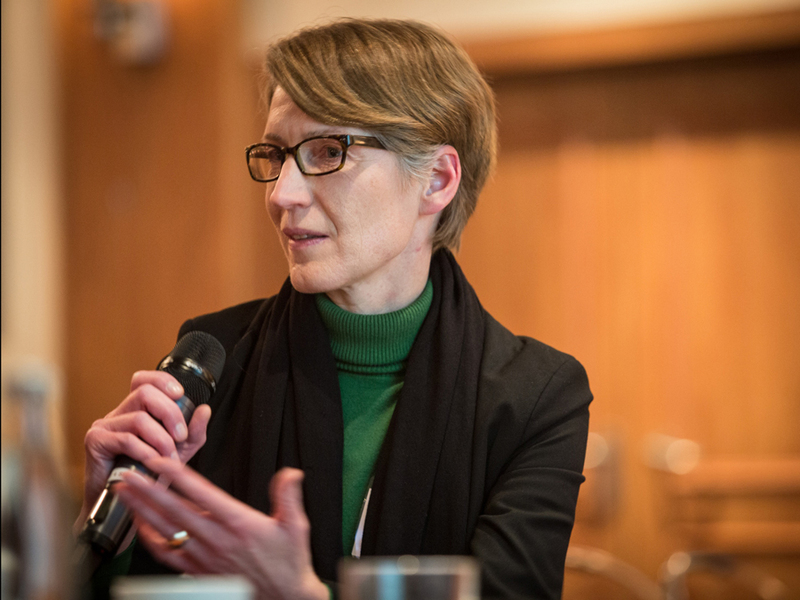 Not only do networks enable the exchange of information, experiences, and contacts, they also raise visibility – both within the medical research community, and beyond. 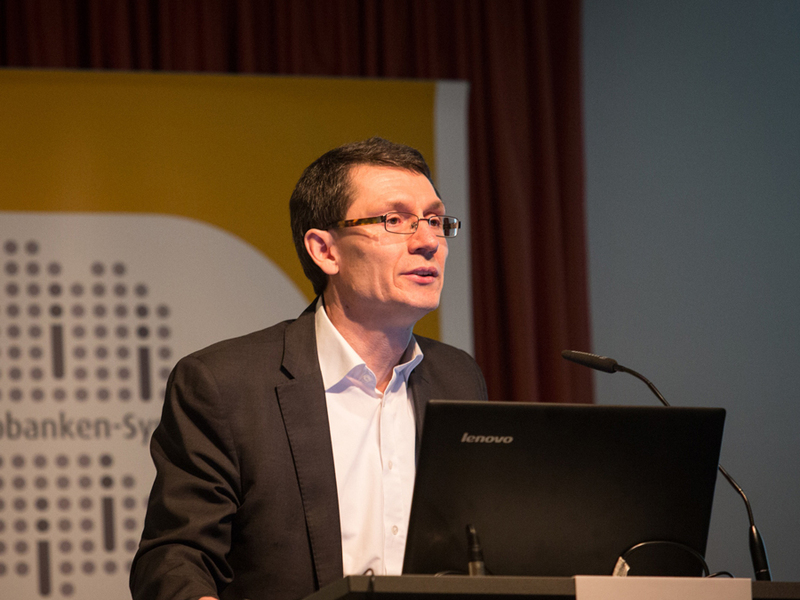 “Today, each local biobank should be part of at least one network, in order to keep pace with new developments,” stressed Professor Berthold Huppertz, director and CEO of the biobank at the Medical University of Graz. Moreover, online portals and catalogues that provide clear, consolidated information on biobanks and their data and samples also play an important role. 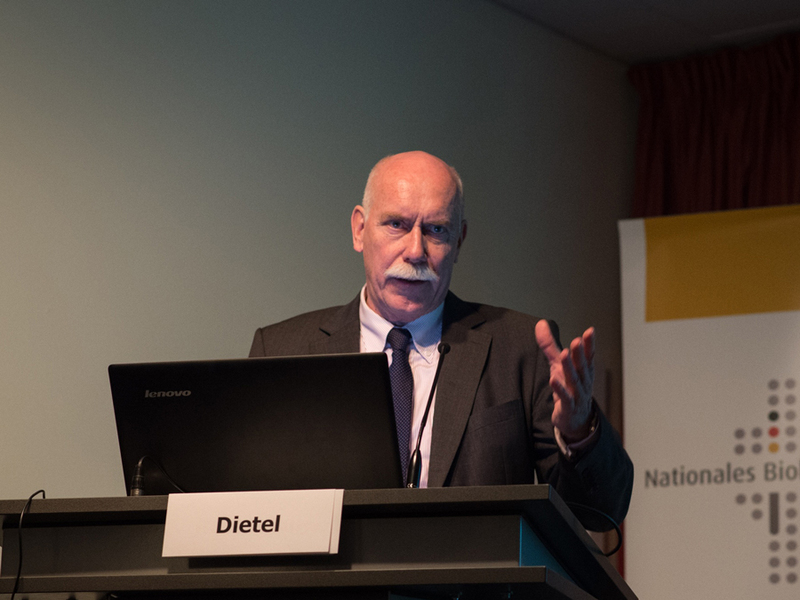 Huppertz predicts that, in future, these catalogues will be crucial – however, for the time being, there are still a number of improvements and advancements to be made. 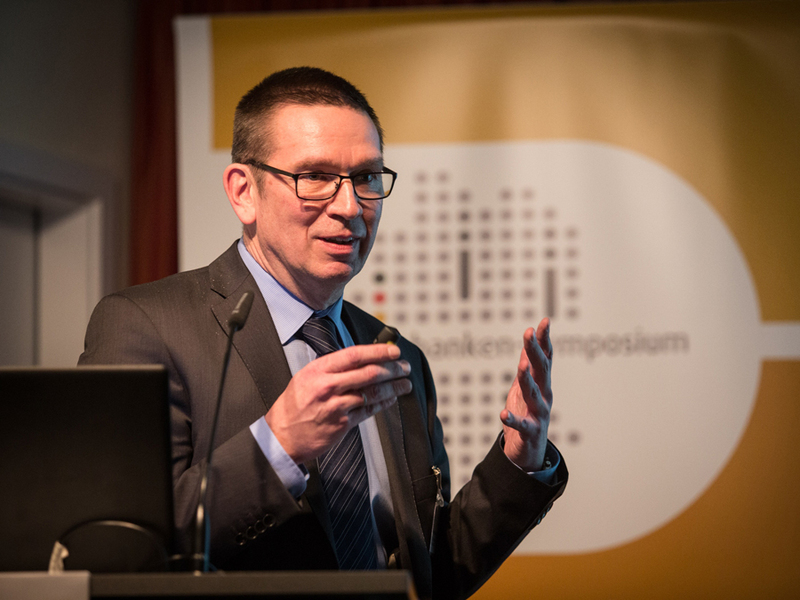 Professor Michael Hummel (Charité University Hospital, Berlin, and national coordinator of the German Biobank Node) underscored that biobank networks are becoming an ever more vital component in national and international research. 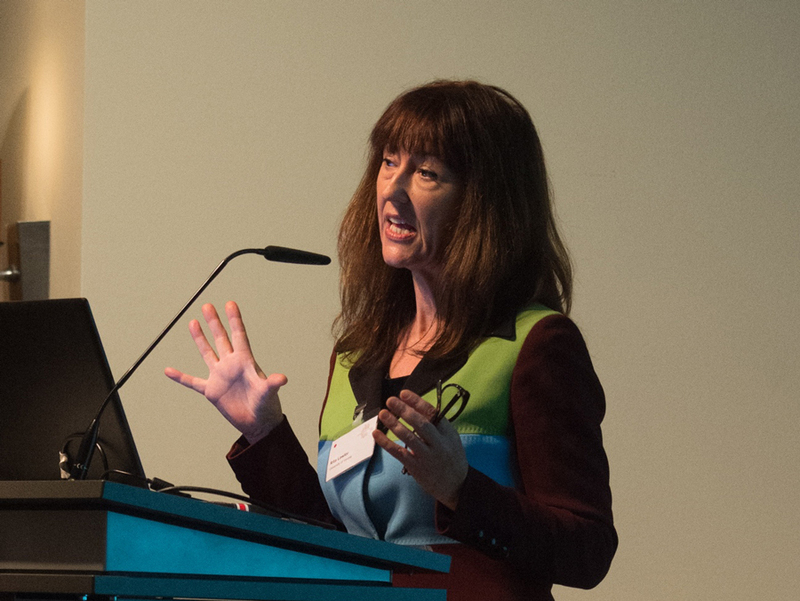 The German biobanking community is distinguished by vigorous, highly active involvement and work on the part of TMF’s biobanking working group. 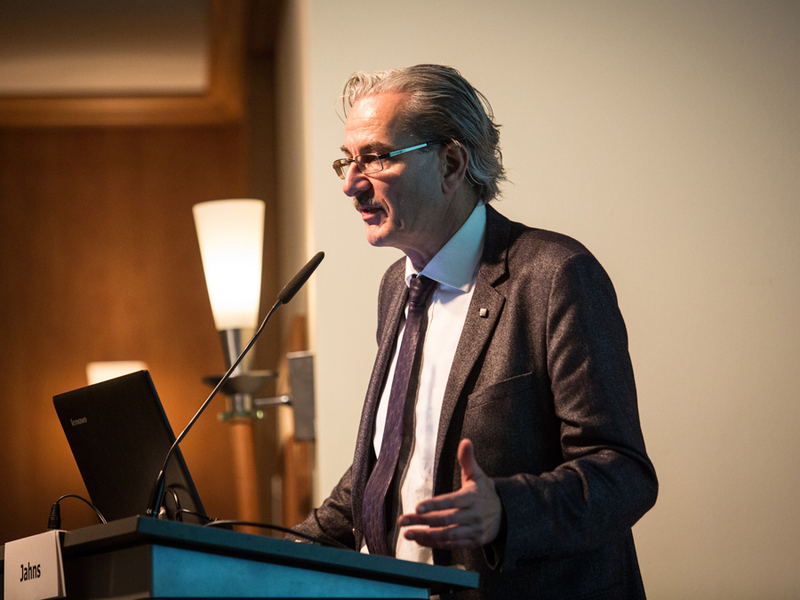 And, Hummel emphasised, the current BMBF call for proposals represents an excellent opportunity for the German Biobanking Alliance to expand the existing infrastructure. Dr Roman Siddiqui (TMF) hopes that this CFP will spark a new wave of applicants to the German Biobank Registry, and stated that “the requirements defined by the funders play an important role,” as became clear in the wake of a 2010 CFP for the German National Biobank Initiative; on the final day before the submission deadline, the number of applications surged from approximately twenty to eighty. Dr Roman Siddiqui emphasised that it was not just a matter of quantity – but also quality. In particular, all applications need to be complete, and to this end, funders should create corresponding incentives. L.t.r. 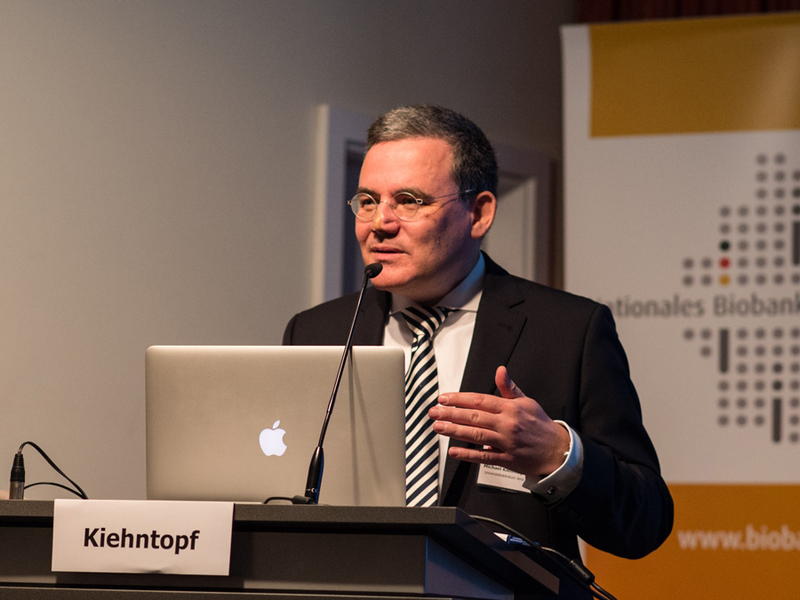 : Dr Michael Kiehntopf, Professor Peter Schirmacher, Professor Karl-Friedrich Becker, Dr Katrin Schlüter and Dr Gabriele Anton. L.t.r. : Professor Frank Ückert, Professor Peter Holub, Dr Markus Kersting, Ines Leb und Professor Hans-Ulrich Prokosch. “The idea of a biobank being flooded or catching fire is every biobanker’s nightmare – and that of every scientist who leverages its samples for research. And insurance is not going to be much help,” stated Professor Thomas Illig, Head of Hanover Unified Biobank. 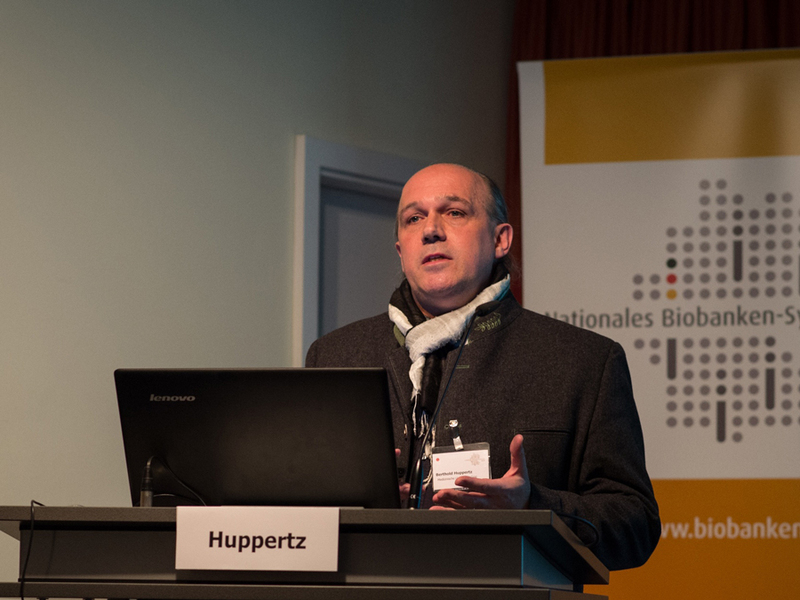 A number of biobanks in northern Germany have entered into an alliance, and are considering storing portions of other members’ samples as a form of back-up. All the same, the proposal raises a number of questions. 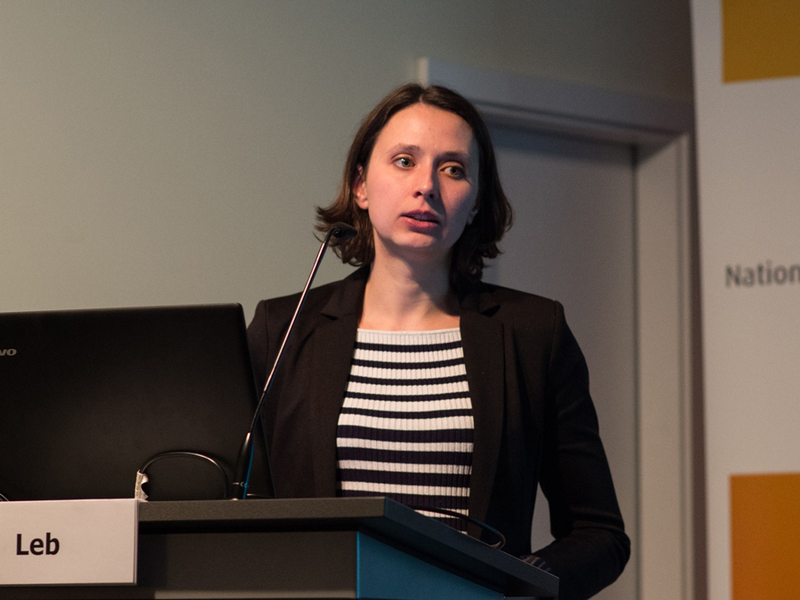 In terms of IT requirements, Dr Sara Y. Nussbeck (University Medical Centre, Göttingen) demonstrated that these would be fundamentally the same as for normal biobank processes. The greatest challenge will be to determine which samples should be stored at other biobanks. L.t.r. : Professor Thomas Illig, Dr Vincent Walcke-Wulffen, Dr Sara Y. Nußbeck and Dr Anne Cambon-Thomsen. 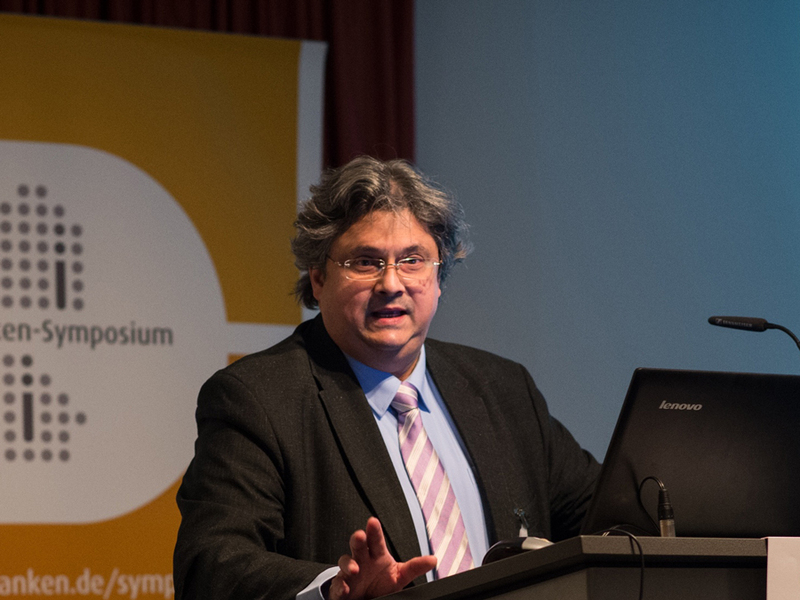 The Symposium also addressed ethical issues and public engagement requirements. 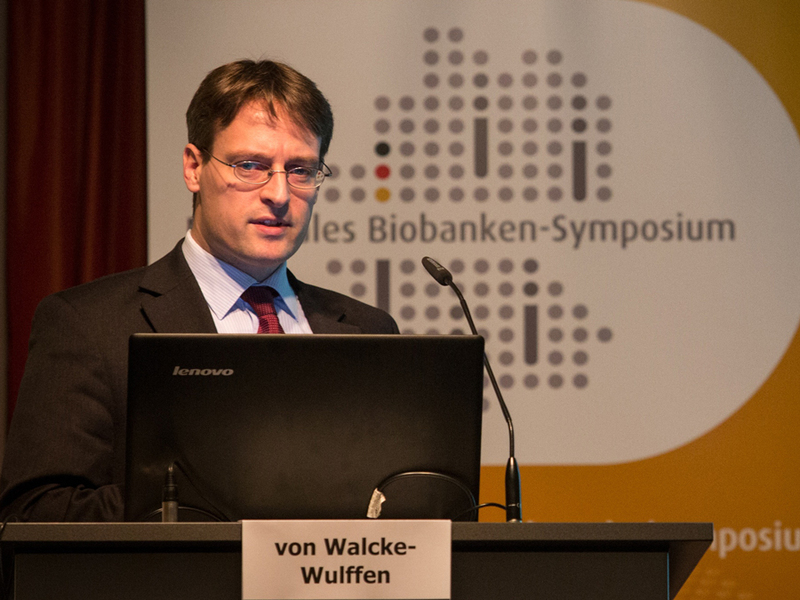 Matthias Brumhard urged attendees to define parameters or non-research aspects of biobanking. 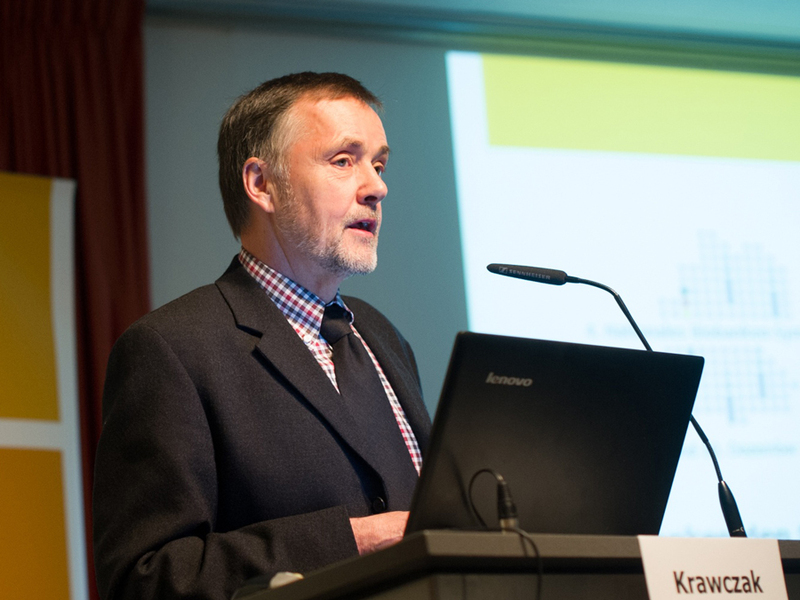 Brumhard is a member of the medical faculty’s ethics committee at Giessen University, and is deputy chairman of the biobanking working group at the Medical Ethics Committee (Arbeitskreis Medizinischer Ethikkommissionen) in Germany. 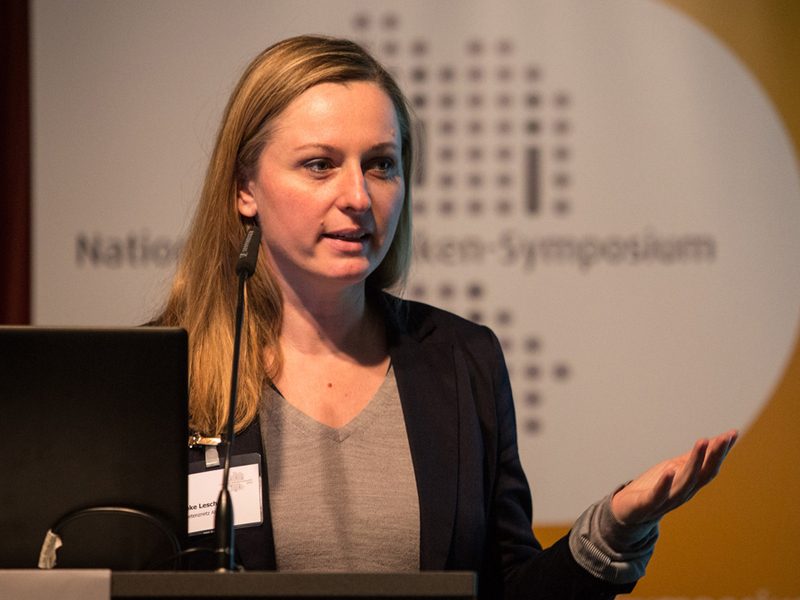 Wiebke Lesch (Interdisciplinary Bank of Biomaterials and Data, (ibdw) Würzburg) drew attention to the importance of establishing professional relationship management for current and future sample donors – particularly in the case of large biobank infrastructures. In these instances, consent is no longer necessarily given in a context of direct interaction and trust between doctors and patients. According to the findings of a well-structured survey of sample donors, this type of management could include clearly communicating that an individual’s results will not be reported back to the donor – while at the same time providing general information on the research’s findings. 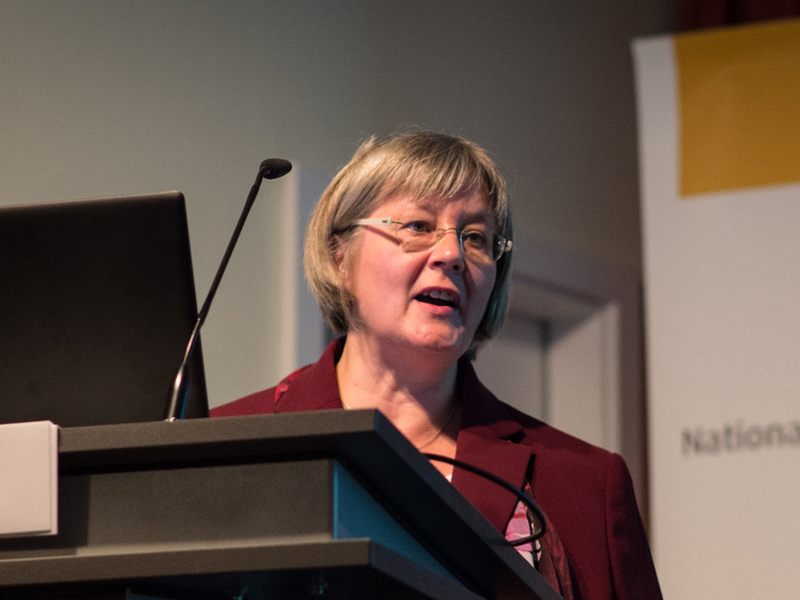 The study was part of the design and planning phase for the German Biobank Node (GBN), and included qualitative analysis of interviews conducted with biobank users and operators. 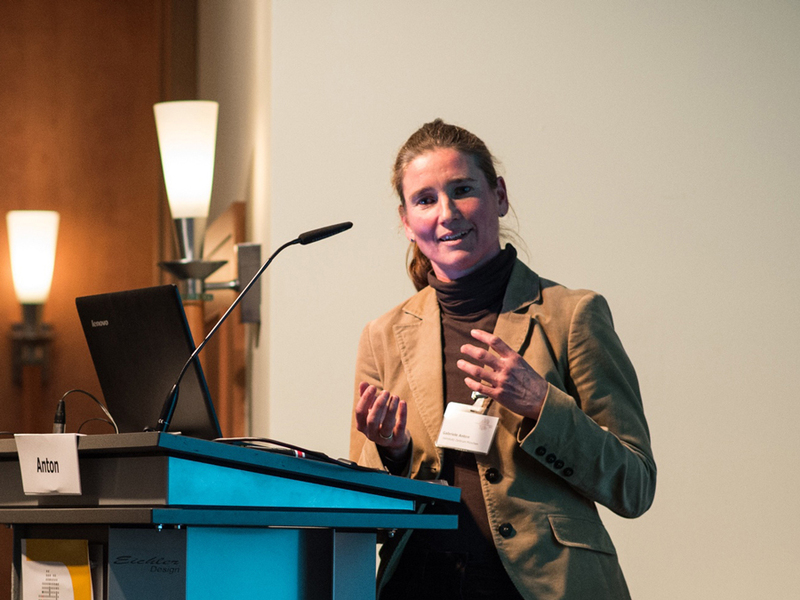 Antje Schütt (TMF) reported on the communications-related tasks that have emerged for biobanks in light of this analysis, and how GBN can support them with genetic materials and advice. L.t.r. : Professor Nils Hoppe, Matthias Brumhard, Wiebke Lesch, Antje Schütt and Professor Roland Jahns. Awards were given out for the three best posters. 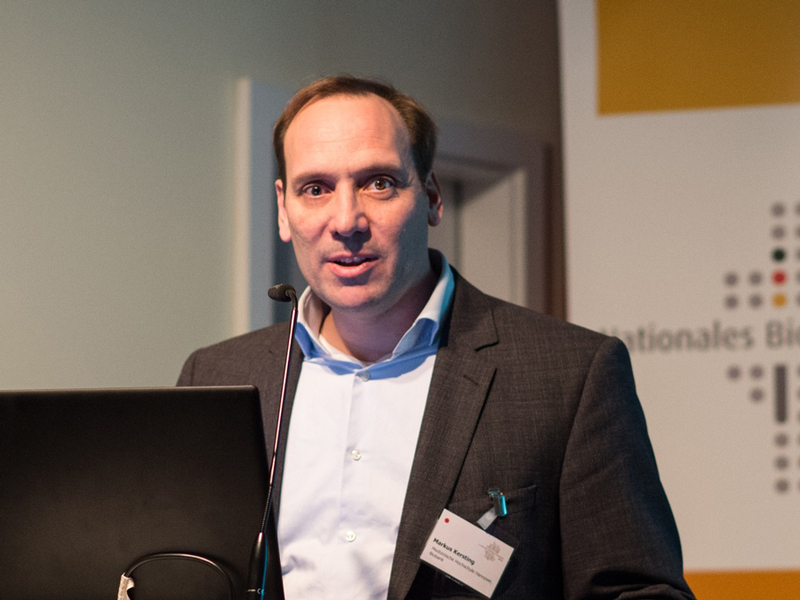 Norman Zerbe (Charité University Hospital, Berlin) took first place for his representation of a solution for enhancing performance – while reducing storage requirements – when managing large volumes of data. 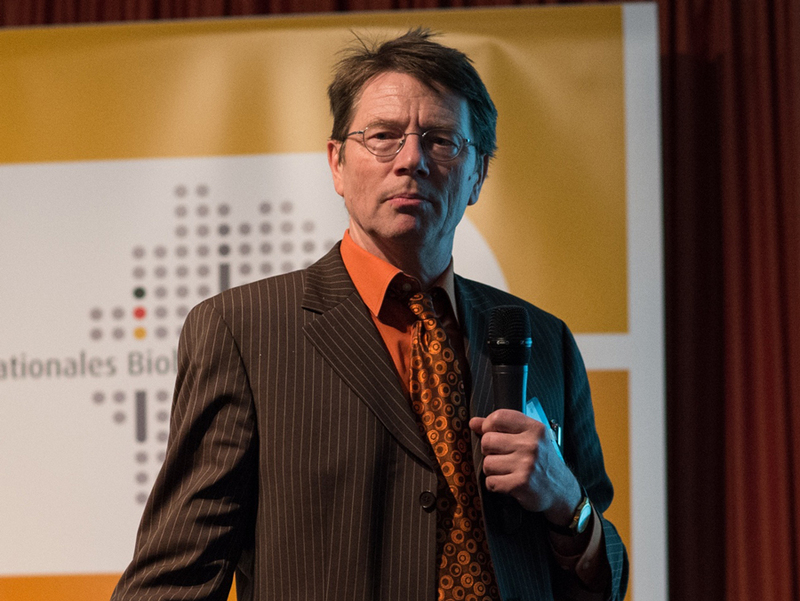 In addition, Björn Lindequist (University of Applied Sciences, (HTW) Berlin) was honoured for his poster “Innovative Biobanking Technologies”. 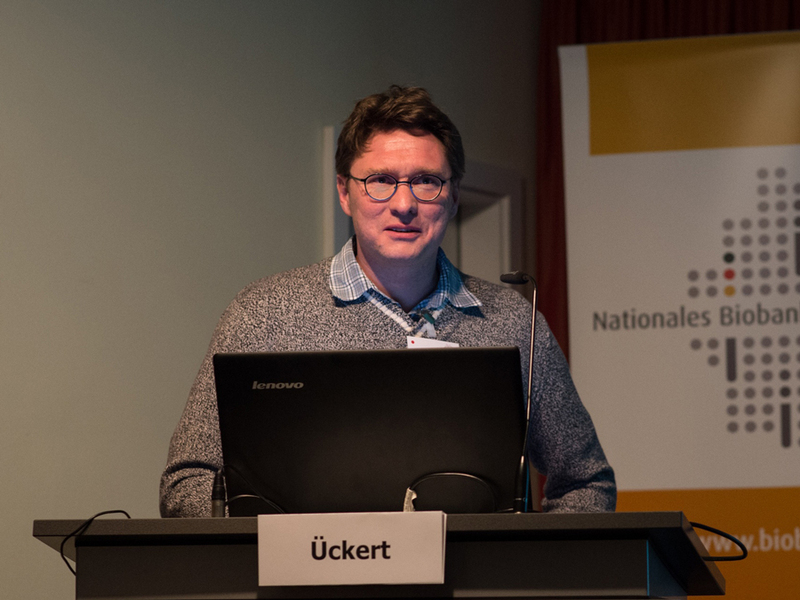 And Jörg Fuchs (Interdisciplinary Bank of Biomaterials and Data, (ibdw) Würzburg) took third place in recognition of his poster “Public Awareness of Biobanks”. 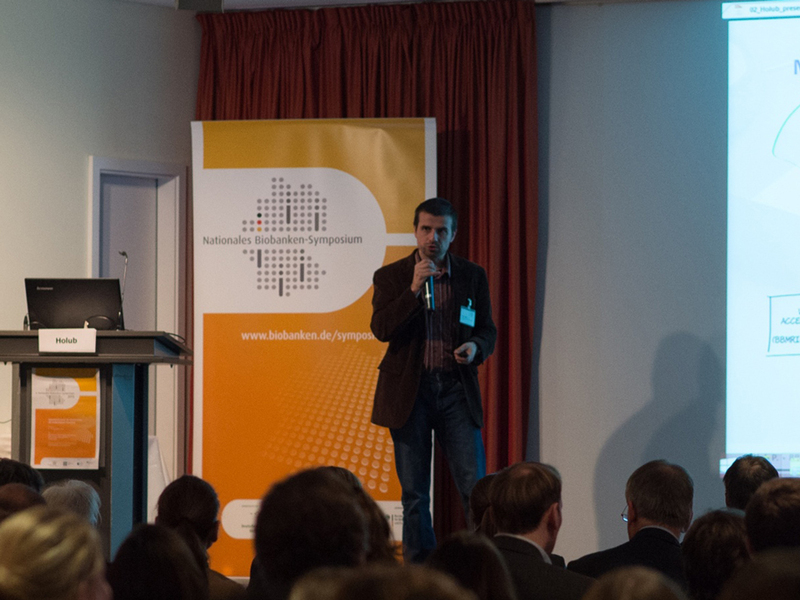 280 biobank users and operators, and partners from the healthcare industry, attended the Symposium in Berlin. Dr Michael Kiehntopf honours the winners of the poster awards. From left to right: Norman Zerbe, Björn Lindequist and Jörg Fuchs. 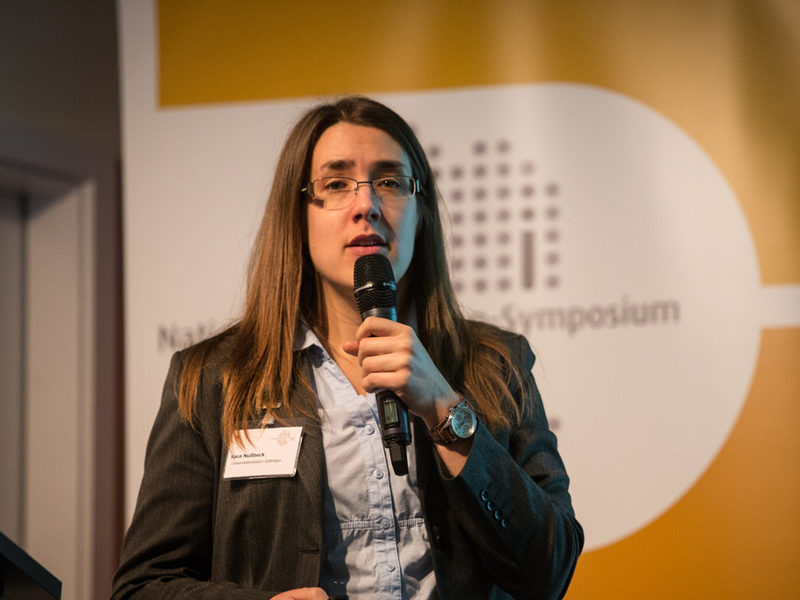 The programme committee for the fourth German National Biobank Symposium.